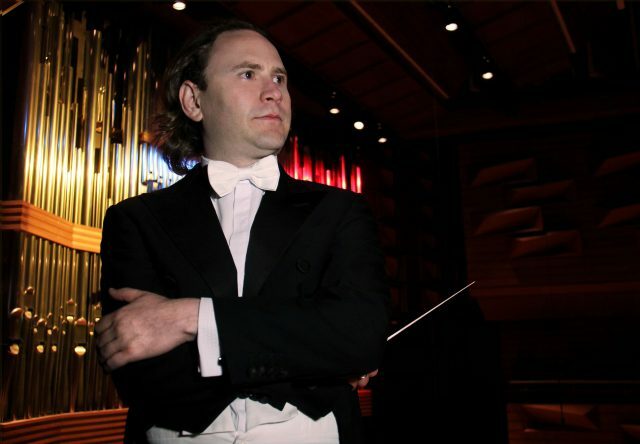 Christian Vásquez became Chief Conductor of the Stavanger Symphony Orchestra at the beginning of the 2013/14 season, inaugurating the start of an initial four-year term with Mahler Symphony No. 2 in the orchestra’s new hall in August 2013. The 2015/16 season saw him become the Principal Guest Conductor of the Het Gelders Orkest, starting his tenure with a tour of the Netherlands featuring an all-Latin programme. He was also Music Director of the Teresa Carreño Youth Orchestra of Venezuela in 2010-2017, notably leading them on many tours in Europe which saw them perform in London, Berlin, Lisbon, Toulouse, Munich, Stockholm and Istanbul. Christian’s 2013/14 season included projects with the Royal Northern Sinfonia, Orchestre National du Capitole de Toulouse, Galicia Symphony, Berlin Konzerthausorchester, Prague Radio Symphony, Warsaw Beethoven Festival and Turku Philharmonic. 2014/15 saw Christian’s first opera engagement in Europe at the Norwegian Opera for Carmen as well as returns to the Arnhem Philharmonic, Helsinki Philharmonic, and Turku Philharmonic. Highlights of the 2015/16 season included projects with the Orchestre Philharmonique du Luxembourg, the Prague Radio Symphony, and Poznan Philharmonic. During 2017/18 season Christian made his debut with the Rotterdam Philharmonic and with the New Jersey Symphony Orchestra and Pinchas Zukerman. He also reunited with the Turku Philharmonic, Helsinki Philharmonic and collaborated with the Estonian National Symphony Orchestra. The summer 2018 also saw Christian make his debut with the InterHarmony International Festival’s Youth Orchestra giving masterclasses and performing with Sergey Khachatryan. In addition to his regular commitments in Stavanger and Arnhem, 2018/19 sees Christian return to the Tokyo Philharmonic Orchestra for Beethoven 9 concerts as part of the orchestra’s long-standing December tradition. He will also make his debut with the Seoul Philharmonic Orchestra and soloist Stefan Dohr. Further orchestral highlights include collaborations with the Naples Orchestra, Castilla and León Symphony Orchestra and a European tour with Stavanger Symphony Orchestra.